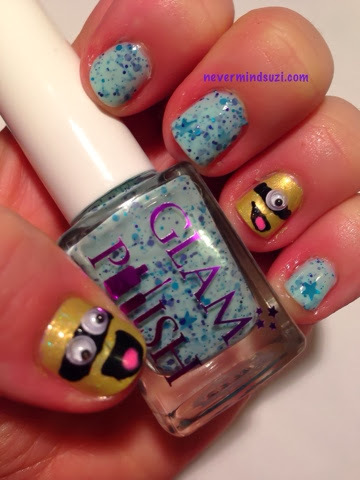 Here's another Glam polish beauty that I recently purchased from Rainbow Connection. Another Galaxy is a milky blue with turquoise and royal blue glitters. Turquoise stars and circle glitters too. I'm wearing 3 thin coats and the best bit - no fishing! I'm also going to a birthday party (I'm helping to chaperone thirty 5 years olds, eep!) 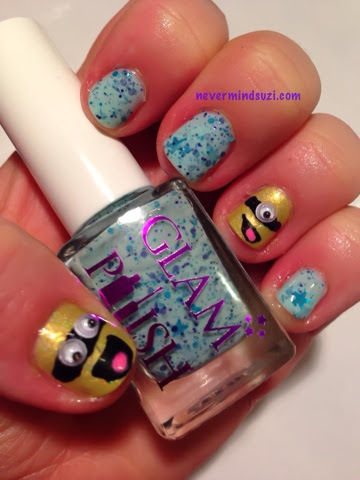 so I added some cute minions! I'll be wearing this polish solo but I used Dollish Polish - This S**t is Bananas. With some epic googly eyes from Sparkly Nails. 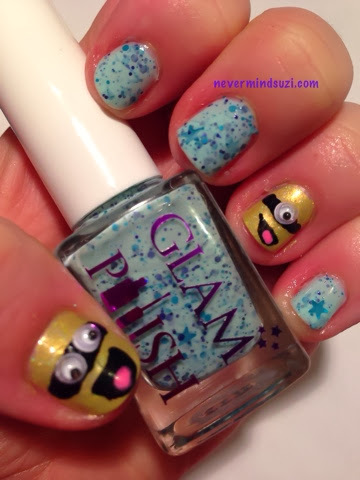 Loving Another Galaxy, it's so dreamy and the minions google eyes are too cute! !